With a little more than a week left in spring training, it’s time to look ahead to the 2016 Major League Baseball season — specifically who will rebound and who will break out. Let’s start with who will rebound this season. In my opinion, no one will bounce back better than Miami Marlins slugger Giancarlo Stanton. 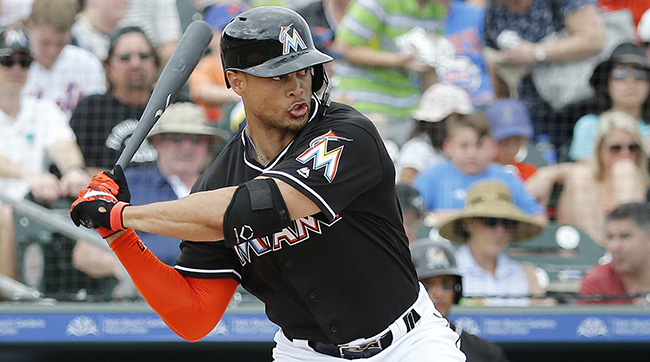 ​Looking at the 2015 MLB season, one thing that immediately jumps out at you is Giancarlo Stanton’s statistics. They were down. Everything — games, plate appearances and hits — were all cut in half as compared to 2014. That was all the result of a hand injury Stanton suffered on June 26 in a game against the Dodgers. He needed surgery, and that put an end to what was shaping up to be an epic season. ​In 74 games, Stanton hit 27 home runs in 318 at bats. That’s one home run every 2.7 games! Last year, Stanton was on pace to hit 60 home runs. If he reached that mark, he would have been the first player to do that since 2001 when Barry Bonds set an all-time record with 73 and Sammy Sosa hit 64. Even when he only played 74 games, Stanton’s HR numbers were good enough to rank 10th in the league. So what does 2016 have in store? If Stanton stays healthy, he could put up monster numbers. Baseball Reference’s 162-game average uses career stats to estimate a full season's worth of stats. Stanton’s career averages are: 677 plate appearances, 159 hits, 41 home runs, and 107 RBI. Fan Graphs ZiPS projections for 2016 have him tabbed at 499 plate appearances, 115 hits, 34 home runs, and 83 RBI over 119 games. The 162 game averages help show what Stanton has averaged over a full season while ZiPS is a projection system to help see what he may do. Both of these methods lead to the fact that regardless of his games played, the power is there, which is why I have him tabbed at a comeback season. If he can play in 150 games, 40 plus homers is quite reasonable. ​In terms of the player with the most potential to breakout this season, I’ve got to go with St. Louis Cardinals outfielder Randal Grichuk. 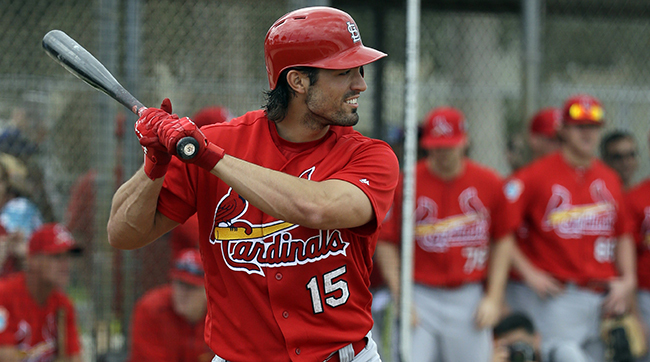 Grichuk was drafted in 2009 by the Anaheim Angels and later traded in a 2013 offseason deal. He broke into the Cardinals’ lineup last year, played 103 games, and hit 17 home runs. He spent some of his season battling an elbow injury, as well as sharing playing time with Jason Heyward. But in 2016, Heyward is with the Chicago Cubs and Grichuk has a spot in the Cards’ outfield to himself. That makes playing 150-160 more likely. And if he sees that kind of action — and stays healthy — Grichuk will break out to be baseball's next big thing. 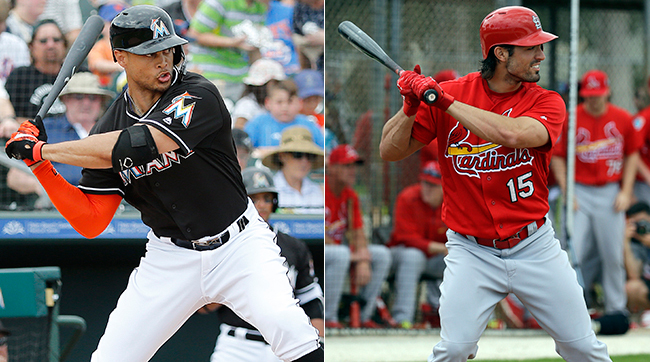 So keep an eye on Grichuk and Stanton this year. Big things should be in store for them in 2016.